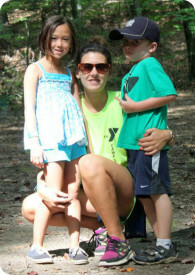 We are always looking for passionate, qualified staff members to work with the campers at Chase. If you have experience working with children, at camp or in an educational setting, we would love to have you on board. Hiring for 201 will begin with returning staff applications in January. We will accept new staff applications starting in February! Applicants will be contacted in March and interviews will start in April. Counselors are the backbone of our programs success. Counselors may work with campers in grades K-10 during any given week. Our counselors act as role models, teachers, best friends, parents, nature guides, entertainers, and inspirations to their campers. Counselors must posses high levels of maturity, creativity and have a commitment to the YMCA mission. Depending on which age group a counselor works with they may have a group of 6-12 campers. Our counselors are professional role models who play like a champion every day. Counselors must be 17 years of age or have completed our Junior Counselor program or equivalent program from another ACA accredited camp. Our Junior Counselor program is a great volunteer opportunity. With the guidance of our leadership staff and counselors JC’s will gain experience working with in a team atmosphere. The program aims to develop future camp and community leaders through team building, leadership development and shadowing camp staff.